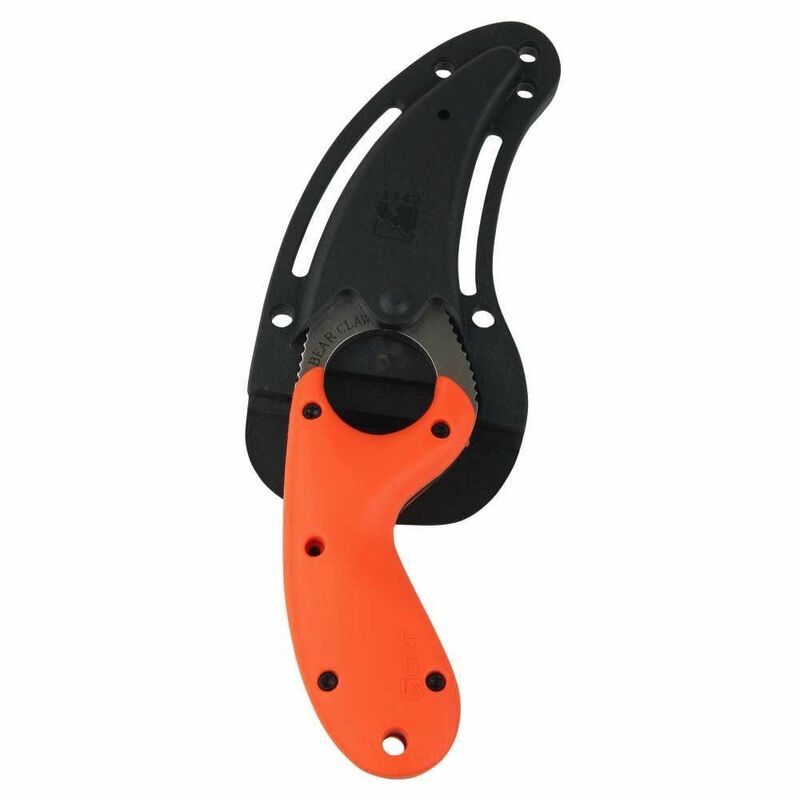 The CRKT Bear Claw Knife is an extension of your hand that cuts rope and webbing like a razor. The blunt tip prevents point penetration in emergency situations. 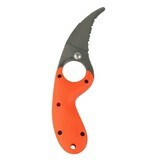 The curve In the Triple-Point serrated blade concentrates the cutting motion for quick, easy severing of the material. Blade control comes easy with the generous size finger hole and friction grooves on the blade spine, underside and near the tip. The knife is held firmly in its sheath but releases smoothly with a jerk or thumb push. Columbia River Knife & Tool makes the handle and sheath of super tough Zytel®, an injection molded composite that wears like metal. The clip slips on a lashtab for handy access. 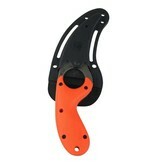 The holes and slots in the sheath serve for additional security anchoring of the sheath to your PFD. 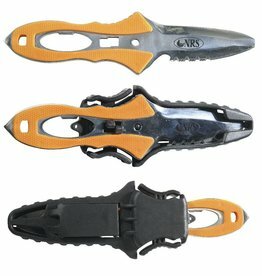 The clip is removable and can be moved to open toward the handle or tip end of the sheath. When mounted on the lash tab, the knife is oriented for a right-hand draw. The shank of the blade runs the full length of the handle for superior strength. The blade is made of taper ground AUS 4 stainless steel for excellent edge holding and corrosion resistance.